Blair Armstrong Kiel (November 29, 1961 – April 8, 2012) was a four-year starting quarterback for the Notre Dame Fighting Irish football team, from 1980 to 1983. He played professionally for several teams in the National Football League, the Canadian Football League, and the Arena Football League, and was inducted into the Indiana State Football Hall of Fame in 1998. Kiel worked as an advisor to corporate real estate clients in the Indianapolis area. Bartholomew County Coroner Allen Smith said Kiel died at Columbus Regional Hospital. Smith said the autopsy confirmed that Kiel died of a heart attack. Kiel attended Columbus East High School in Indiana, where he was rated the #3 quarterback in the nation by Parade. Coach Dan Devine offered him a scholarship to the University of Notre Dame, where Kiel earned the starting quarterback job during his freshman year, four games into the 1980 season. The team achieved a 9-0-1 record and the #2 ranking before closing the season with losses at USC (3-20) and to Georgia in the Sugar Bowl (10-17). Kiel went on to become the sixth all-time leading passer for Notre Dame, and holds the record for the team's longest pass play—a 96-yard bomb to Joe Howard against Georgia Tech in 1981. In his final game, he led the unranked Irish to victory over 13th-ranked Boston College in the Liberty Bowl. 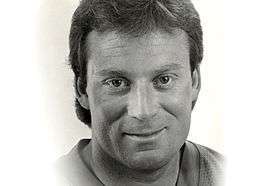 Kiel was selected by the Tampa Bay Buccaneers in the 1984 NFL Draft but only saw playing time in the regular season as a holder on kick attempts. He later played in seven games over two seasons with the Indianapolis Colts as both a quarterback and punter, and then spent five years with the Green Bay Packers. Following stints in the Canadian Football League and the Arena Football League, he retired at the end of 1993. Blair's son Brandon was a successful quarterback for Hamilton Southeastern High School in Fishers, Indiana, earning a scholarship to Indiana University before leaving the football team. Blair has two brothers, Pat and Kevin, who also played football for Columbus East at the same time. Kip went on to Butler University to play football after sustaining an injury. Blair's nephews have gone on to have successful quarterbacking careers as well. Drew Kiel was quarterback for Illinois State while Dusty Kiel earned a scholarship to Indiana University and the youngest, Gunner Kiel, was the top-rated quarterback in the class of 2011 according to ESPN Scouts Inc. and committed to the University of Notre Dame, but later transferred to the University of Cincinnati. He resided in the Fishers area with his new family and worked as a private quarterback coach. Blair was in the process of developing a program for young athletes to support and educate them during their athletic years, while teaching them how to work through real life situations, pressures, and obstacles they will undoubtedly face. Blair's priority was to teach young athletes the importance of an education and developing a long term life plan. Kiel died on April 8, 2012 at the age of 50. ↑ Farmer, Douglass (January 17, 2012). "Gunner Kiel to Officially Attend Notre Dame". The Observer. Retrieved 2012-01-17. ↑ "Ex-East, Notre Dame Star Blair Kiel Dies at 50". The Republic. 2012-04-08. Retrieved 2012-04-09.